NIA CHARLESTOWN NEVIS (SEPTEMBER 30, 2016) — The following is a declaration speech for Financial Information Month delivered by Premier of Nevis and Minister of Finance in the Nevis Island Administration (NIA) Hon. Vance Amory, on September 30, 2016, on behalf of Dr. the Hon. 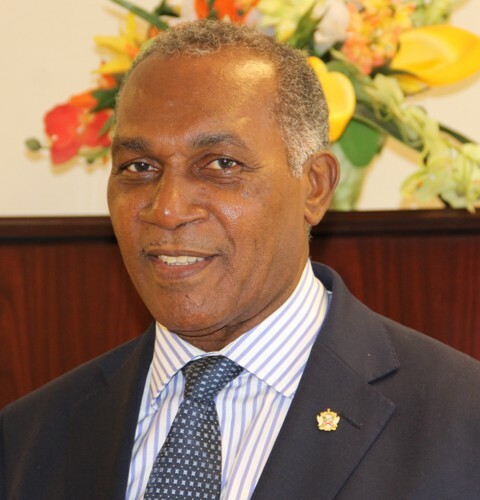 Timothy Harris, Prime Minister of St. Kitts and Nevis and Minister of Finance. The month of October has been observed annually as Financial Information Month in St. Kitts and Nevis and indeed by the entire Eastern Caribbean Currency Union (ECCU) since 2002, with this year being the 15th year of celebration. It is customary that the activities that have been arranged for the month be a collaborative effort of the Eastern Caribbean Central Bank (ECCB), ECCU Member Governments, financial and academic institutions, the media, other private and public sector institutions and community based groups. Generally, Financial Information Month is designed to promote awareness and an understanding of general financial and economic issues. This year, the campaign is seeking to foster the spirit and practice of developing the financial, business and entrepreneurial know-how of the ECCU citizenry through community outreach programmes. It is also hoped that the activities that have been planned for the month would function as a springboard for enduring financial and business educational projects. The theme that was chosen to observe Financial Information Month this year is “Create, Optimise, Pursue and Embrace Opportunities”. The theme seeks to challenge all of us to create and optimise opportunities by embracing and taking full advantage of what is available and possible. In other words, we must look for these opportunities everywhere and make every effort to pursue them. The focus this year on the development of the business sector, particularly the emphasis on small and medium sized enterprises is noteworthy, as this area has been identified as a vehicle for driving economic growth and creating jobs here in the Federation. It is therefore important that entrepreneurs be prepared for opportunities and be open to new ideas so that these ideas could be transformed into viable businesses. Such preparation must start with acquiring the necessary knowledge, skills and confidence in not only financial matters, but also business and economic issues. I encourage all to keep abreast of developments in the Financial Sector and to seek out opportunities to grow as individuals and businesses. In building financial literacy at the business and individual level, our country stands a better chance to improve the prospects for building stronger businesses that are necessary for enhancing the business climate and contribute to the attainment of our goal of accelerating inclusive growth and development of our beloved Federation. A number of activities have been arranged to promote this year’s Financial Information Month. This year, the activities have not been restricted to just one month but have been extended to span the months of August to November. For instance, on 25 August 2016, a regional press briefing was held to launch the theme for this year’s Financial Information Month, the Financial Information Month song and a music video. This early start of the campaign provided a platform to interpret and discuss the theme’s messages and for the campaign to reach as many persons as possible in the ECCU. The Central Bank is to be commended this year for including as part of the extended programme, a Business Opportunity Workshop for teachers that was held just a few days ago on September 29. • Examining non-traditional financing models for ECCU start-ups such as Crowd Funding, Angel Investing and Venture Capital. These are all important areas for teachers to explore and update their knowledge. Going forward, we need to encourage continued emphasis on the training of our teachers and in turn, the training of our young people in all areas related to entrepreneurship. As part of the campaign, an ongoing activity during the period 30 August to 05 November, would be the re-launching of the Campaign’s Facebook page through weekly Giveaways over the 10 week period. In addition, media articles and presentations to schools, community groups and the wider public on financial, economic and business issues are scheduled for the months of October and November. The articles and presentations will seek to engage and develop the public’s understanding of everyday financial, business and economic issues important for their overall development. Another activity that is specifically geared towards the business sector, is the 6th Annual Business Symposium and Innovation Forum that is scheduled for 06 October, 2016, at the ECCB Headquarters via videoconference connections to the other ECCU member states. • Improving the OECS Business Climate by Mr Jose Rosa, General Manager of Kajola Kristada Ltd and President of the St. Kitts Nevis Chamber of Industry and Commerce. Let me take this opportunity, to commend the ECCB and the public and private sector entities for their continued collective contribution to financial literacy, and for arranging such an extensive programme of activities which will no doubt provide a wealth of information on finance and economics, and for advancing the discourse on critical areas for fostering growth and development of the ECCU. I am confident that the rich programme of activities holds much benefit for all who participate in the various events. I therefore encourage full participation in this year’s activities and remind you that each of us must endeavour to “Create, Optimise, Pursue and Embrace Opportunities” for your continued growth and development – for continued growth and development of our Nation, St. Kitts and Nevis. With this undertaking, it gives me great pleasure to declare the official start of the 2016 Financial Information Month.